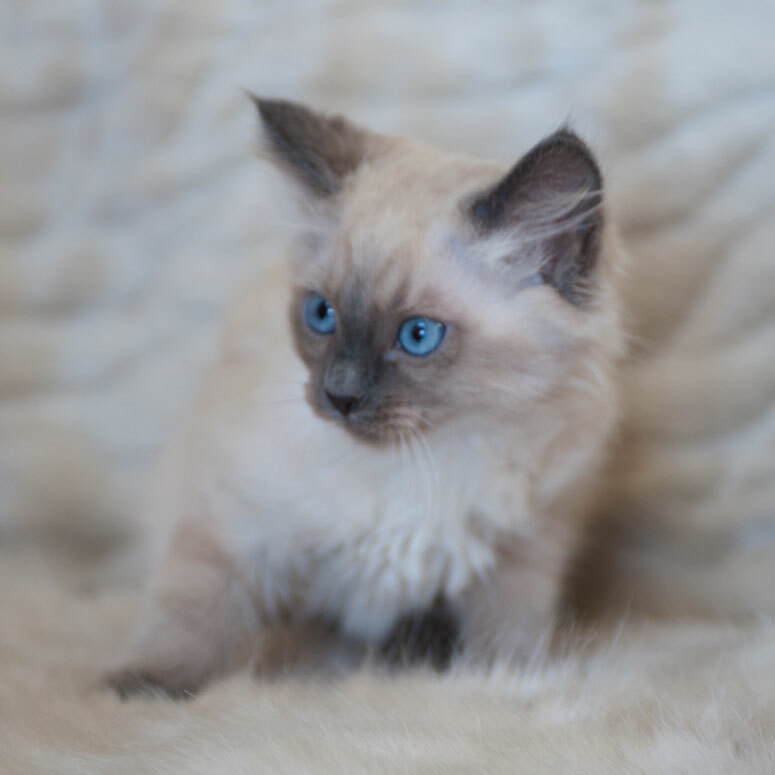 Henry is a bluepoint and the only boy available right now. He’s spunky but loves to snuggle up. He’s an explorer and is always looking for an adventure. Kate is a seal point colorpoint. 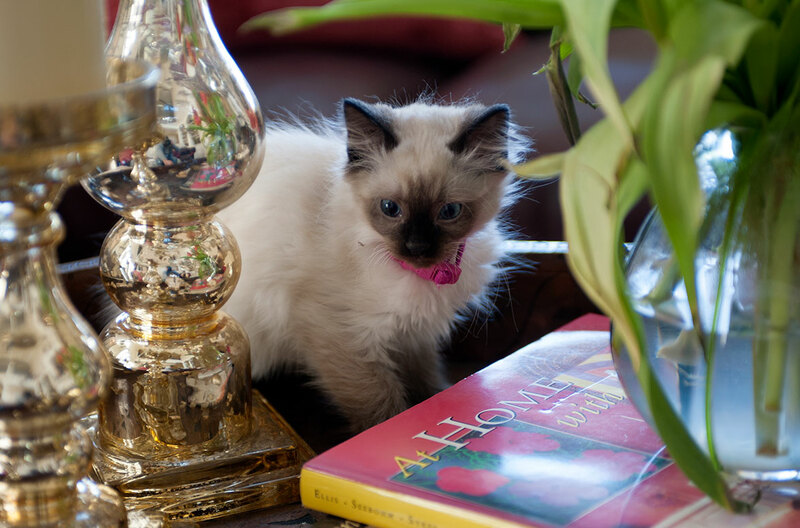 Lily is a precious seal point tail tipped female. She is the quiet one of the litter. So sweet, like a little precious doll! 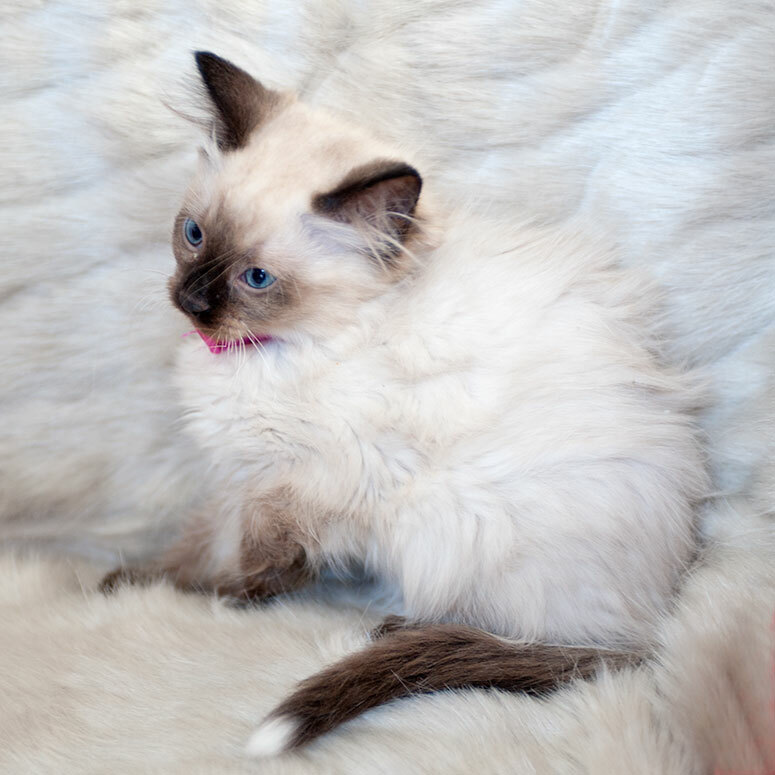 Coco is a seal point tail tipped female and definitely a lap kitten. She absolutely adores being held. Want to know more about Ragdolls? 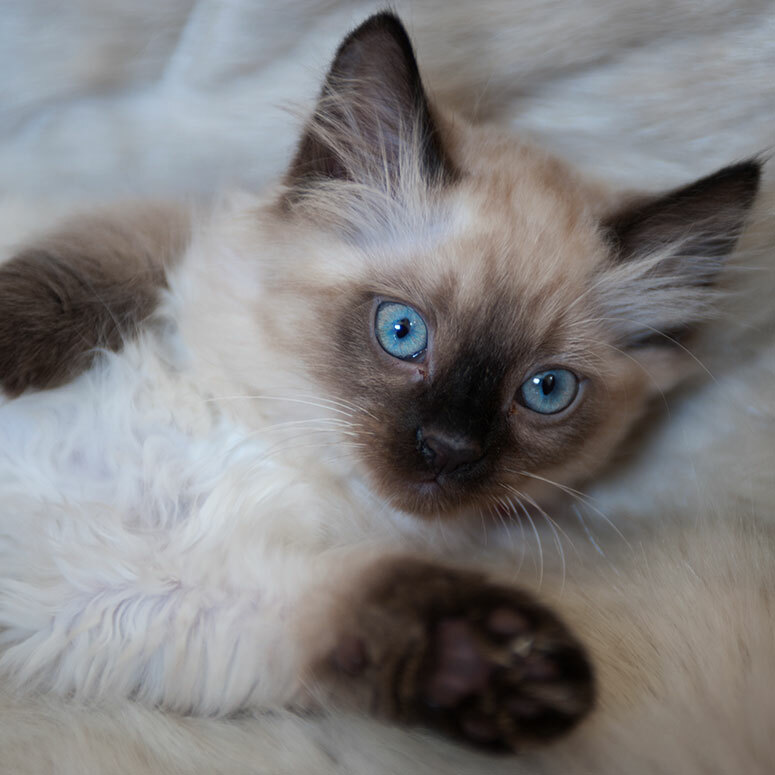 Ragdolls are unlike any other cat breed. Their personalities are really more dog like. They have a constant desire to be around people. Ours run up with the dogs to greet us when we get home. They love laying in the dog beds with the dogs. They are an extremely hardy breed that have an average life span of 16 to 23 years old. They do great inside as well as we have some that love hanging out in our horse stables. They just flop around in your arms, and love being carried around like a baby!